We hope everyone has had a wonderful Thanksgiving and was able to spend time with family and friends. Small Business Saturday is this weekend! 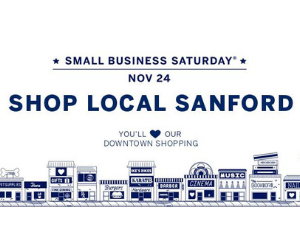 There are tons of small business here in Sanford. Businesses in downtown have decorated their windows in holiday decor and offer the perfect scene to window shop! 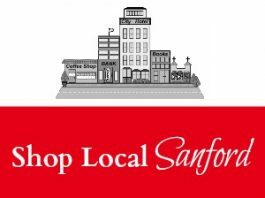 Not only are there going to be sales and promotions from the small businesses, Downtown Sanford Inc. is celebrating Small Business Saturday with a 2018 Holiday Punch Card. For every $50 you spend in participating Downtown businesses, you will be entered to win great prizes. Fill in and turn in as many Holiday Punch Cards as you like from November 24 to December 24. Another fun event for you to add to your calendar for your family is visiting Santa at Central Carolina Community College Nov. 29! Santa invites everyone to join him at the CCCC Foundation’s Annual Christmas Tree Lighting. 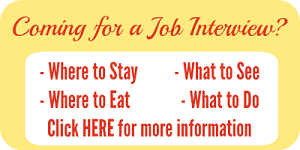 The free event takes place from 5:30 to 6:30 p.m. Thursday, Nov. 29, in the Lee County Campus Plaza, 1105 Kelly Drive, Sanford. Santa will be eager to meet children of all ages and be available to take Christmas photos. The CCCC Foundation will post the photos on its website, www.cccc.edu/foundation, the following day, where they can be downloaded for free. Come bring your child to tell Santa their wishes! Also don’t forget about the Christma Tree and Train Lighting at Depot Park in downtown Sanford. This event will take place Friday, December 7th at 6pm. Be sure to check back for more activities as the holiday season gets started!